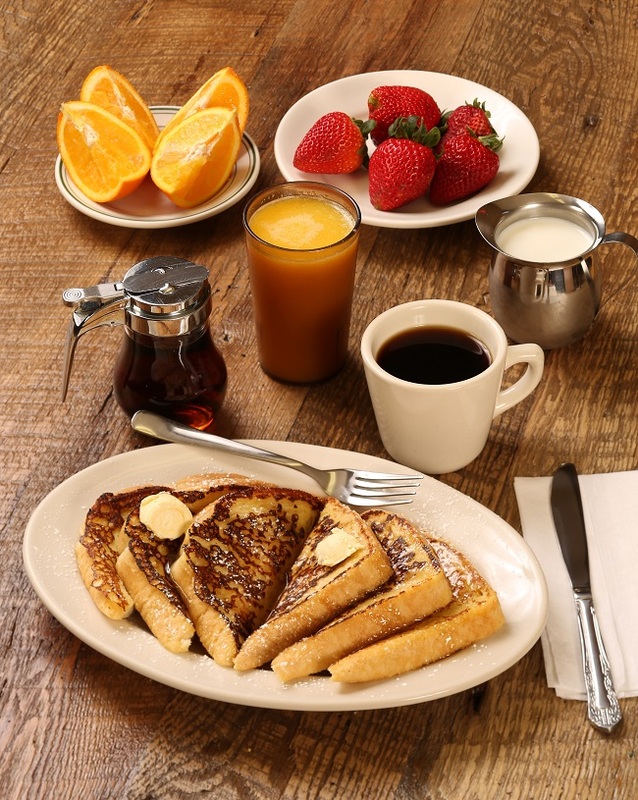 One thing to look forward to on a personal day off work or a weekend morning is the treat of dining out for breakfast. A crisp copy of The Wichita Eagle, a hot cup of coffee or perhaps glass of fresh squeezed juice is a great way to start any day! 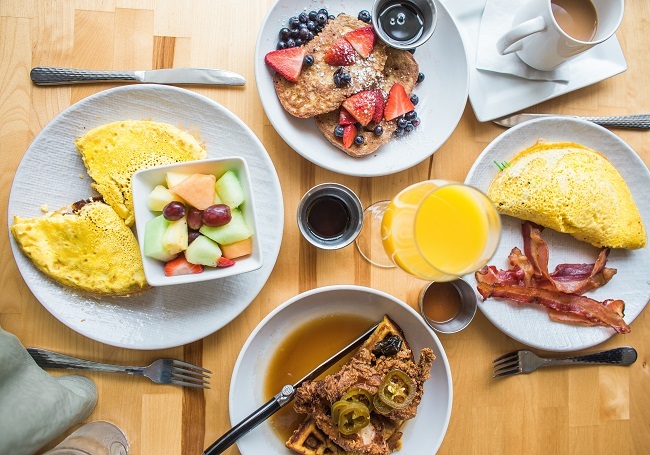 Dine at one of the restaurants featured on “Wichita’s BEST Breakfast Spots” and you’ll have a great meal, be supporting a local business and avoiding a kitchen to clean up afterwards! The Beacon is a family style restaurant nestled in downtown Wichita, serving up traditional American breakfast and lunch menu items. Open daily 7:00 a.m. to 2:00 p.m.
Local breakfast and lunch restaurant featuring a farm to table menu including vegan, vegetarian and gluten free options! Open Monday through Saturday, 7:30 a.m. to 2:30 p.m. and on Sundays (breakfast only) 10:00 a.m. to 2:30 p.m. Located at 2516 E. Central Ave., Wichita, KS 67214 – Click HERE to view their menu! Located in Indian Hills Shopping Center, the Copper Oven Café & Bakery offers a nearly endless menu of sandwiches, steaks, bakery items and of course breakfast! Open Tuesday through Saturday, 7:00 a.m. to 8:00 p.m. – Closed Sundays and Mondays. Located at 2409 W. 13th St. N., Wichita, KS 67203 – Click HERE to view their menu! Visit Dempsey’s Biscuit Company for made from scratch biscuits, sandwiches, salads, Nashville Hot Chicken and chicken and waffles! Brunch served on Saturdays and Sundays from 9:00 a.m. to 2:00 p.m.
Open Monday through Friday, 9:00 a.m. to 11:00 p.m. and Saturday and Sunday 9:00 a.m. to midnight. Located at 3425 E. Douglas Ave., Wichita, KS 67218 – Click HERE to view their menu! Most certainly one of Wichita’s most popular restaurants, Doo-Dah Diner is a must stop! 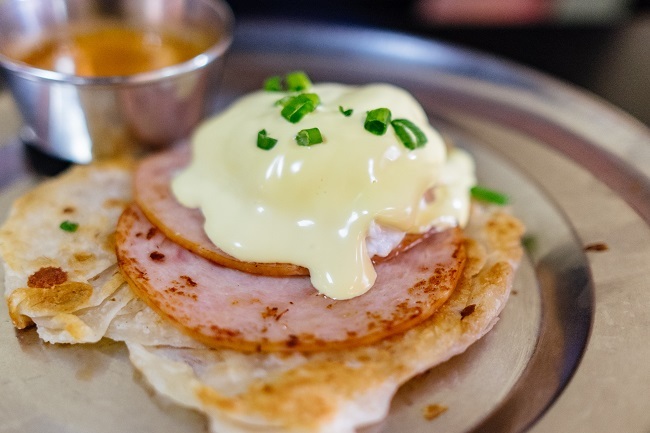 Their menu features traditional breakfast and lunch dishes with a unique twist such as; Banana Bread French Toast, Smothered Breakfast Burrito, Crab Cake Benedict and BLT A+. Don’t forget to request Monkey Bread to enjoy while your meal is being prepared! Open Tuesday through Friday, 7:00 a.m. to 2:00 p.m. and Saturday and Sunday, 8:00 a.m. to 2:00 p.m. Closed on Mondays. Located at 206 E. Kellogg, Wichita, KS 67202 – Click HERE to view their menu! A cozy and relaxed café on the westside of town offering classic American breakfast and lunch options all day, every day! Open daily from 6:00 a.m. to 2:00 p.m. Located in New Market Square and serving up a killer breakfast and lunch menu, Homegrown supports local vendors and positive acts that cultivate kindness throughout our community. Open daily from 6:00 a.m. to 2:30 p.m. Located at 2835 N. Maize Rd., Wichita, KS 67205 – Click HERE to view menu options! Don’t let the name fool you! 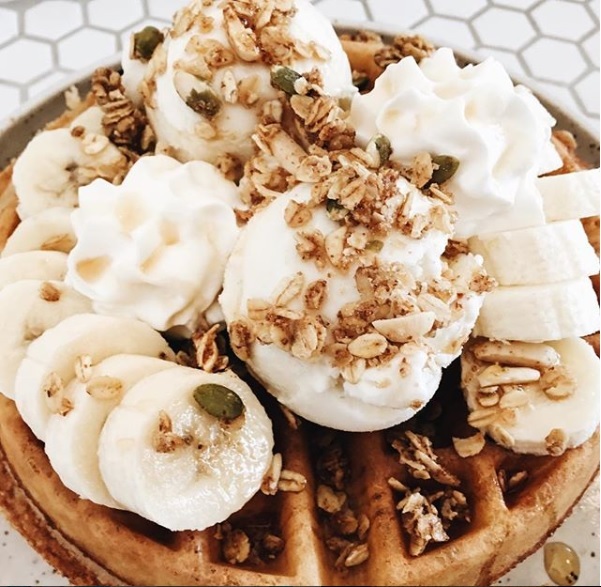 Little Lion Ice Cream has handmade scones, waffles, breakfast burritos, espresso and if you want to order ice cream for breakfast, I’m not one to judge! Open Monday, Wednesday and Thursday from 8:00 a.m. to 9:00 p.m., Friday and Saturday from 8:00 a.m. to 10:00 p.m. and Sunday 9:00 a.m. to 9:00 p.m. Closed on Tuesdays. Click HERE to read our blog on Little Lion Ice Cream! A hometown restaurant dishing up a classic diner-style comfort food, with their breakfast menu available all day! Open Monday through Saturday from 6:00 a.m. to 8:00 p.m. and Sundays from 6:00 a.m. to 2:00 p.m.
Click HERE to view all three locations and HERE to preview the menu! A casual upscale daytime eatery located in Bradley Fair and serving up breakfast and lunch in a bright cheery environment! Open daily from 6:30 a.m. through 2:30 p.m.
What did we miss? Please leave your favorite Wichita breakfast and/or brunch locations in the comments below!